Automatic e-mail/text message when a calculation has finished? Sometimes Mathematica takes quite a while to finish calculations and it would be convenient to be able to move away from the computer while it is working. I was wondering if there is any "clever" hack that can be used purely within Mathematica to e-mail updates on the computation. I can think of a very rough way of getting an update other than actually accessing the machine, which would be by exporting some output to a file in Dropbox. From another machine connected to Dropbox I could see when the file is updated. But this seems to me like a very ugly solution. A less ugly solution would be to write an external script, probably with python, and then have Mathematica run it at some point in the calculation. This would allow for both e-mail and text message updates (using Skype or a similar service and the appropiate python modules). Is there any way to do something similar purely within Mathematica? the first is a bell that rings thrice when the computation is finished — used to alert me when I'm at my computer, but doing something else. Both of them are Buttons with a queued evaluation, so as to prevent the front end from evaluating it pre-emptively (i.e., it will evaluate only after the processing is finished). You use these buttons by first evaluating (ShiftEnter) all the cells that you want processed and then click the desired button and walk away. 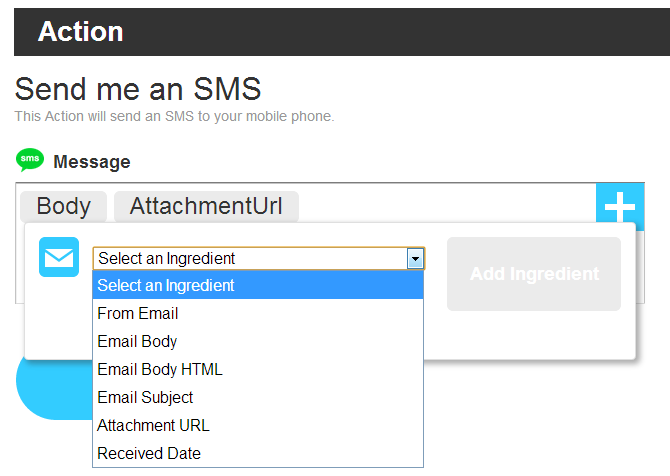 Use additional options to SendMail as necessary, depending on your email provider. As stated in this answer you can do the following to send an email form Mathematica. Because of the nature of how email servers are set up you will have to have some server that sends the email. If you want results emailed then why not combine that with scheduling of the job? So in other words if you have computations that take awhile or you run regularly why hang around or why even be there to get them started? More efficient use of time is to schedule the job and go and do something else. Have the job run while you are sleeping and get the results emailed and check on your phone when you wake up. If you want to get a text message on your cellphone when the calculation is done, you need a little bit more structure than what Mathematica has built in, but it's not too hard to do. To be honest I haven't used this in a while but I have a feeling I'll be using it again soon enough. 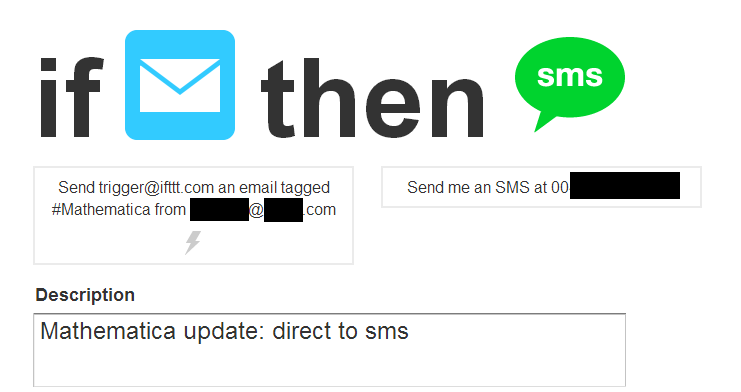 Full disclaimer: I am not in any way associated with ifttt - I just find it useful. I'm pretty sure there are other ways of sending SMS through online APIs that can be accessed either directly or through e.g. Python scripts, but this one is fairly simple. Not the answer you're looking for? Browse other questions tagged programming automation email or ask your own question. A command to mark the end of a time consumming computation? Customize front end to add notifications when evaluation finishes? How to make the Mathematica icon flash in the taskbar? How could I change the apperance of a button when some hard computation is finished? Fighting Less::nord at the root: Any unintended consequences? How can I monitor and detect when a website has changed? When should I use Apply (or Function) and when @@ (or &)?